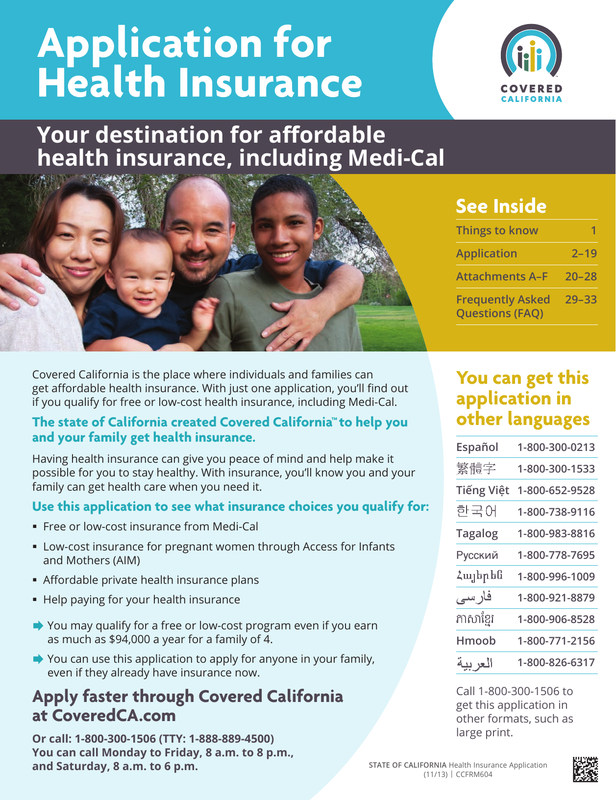 Download the California Medi-Cal Application Form to apply for health care insurance services in the state of California. This application is available to individuals and families so that they may receive medical coverage at free or very affordable rates. The application is available in a variety of languages to accommodate those from around the world who are in the United States, yet still not fluent in the English language. There will be an opportunity to choose the language of choice once you begin the process. Step 1 – Read the cover pages 1. and 2. The information provided on these pages will provide an idea of what is available and what to expect. It also provides direct contact information if needed and additional information for the deaf who may require assistance. Check the next box if you have no home address – you must provide a mailing address. Check the next box if your mailing address is the same as your home address – if your mailing address is not the same, provide your mailing address in the following block. Mailing address or PO box, if your address is different than your home address. Provide the best phone number for which you may be contacted and check the appropriate box. Step 2 – Section 1. – Are you applying for a child less than one year old? As stated on this application: Infants less than one year old are eligible for Medi-Cal if their mother was on Medi-Cal or AIM at the time of delivery. You do not need to fill out an application to get Medi-Cal for an infant born to a mother with Medi-Cal or AIM at the time of delivery. Call your county social services office when your baby is born to make sure your baby is covered. Or fill out the information next on the application. If yes, the mother is person # (complete the blank line in this question) – on this application? Step 3 – Tell Us About Your Family – Read the information at the top before you continue to complete the next step in this application process. Are you applying for health insurance for yourself? If you have no Social Security Number, check the box that best describes why. Step 4 – Section 1 – Step 2 – Person 1 – Federal Income Tax Information. If you don’t file taxes, you may still qualify for free or low-cost insurance through Medi-Cal. Your information will be kept private. Your information will only be used to determine whether or not you qualify for Medi-Cal. If you are unsure, and you need to know if you have satisfactory status, go to Attachment E on page 27 for a list. Then write the document information here. In most cases your document ID number will be your Alien Registration Number. What would be the expiration date of said documents? If you would like to choose a health insurance plan now, (Check the box in this sentence), then complete attachment D on page 25. Check the box next to the blue star on the left if this person is an American Indian or Alaska Native, and fill out Attachment A on pages 20 and 21. JOB 1: Is this person self-employed? JOB 2: Is this person self-employed? Does this person have other income? Does this person’s income change from month to month? Does this person have deductions? Check the box to the left if this person does not have a home address. A mailing address must be provided. Check the box to the left if this person’s mailing address is the same as the main contacts mailing address. If it is not the same, a mailing address must be provided. What language should we write to this person in? What language does this person want us to speak to him/her in? Where does this person work or get money? Does this person have deductions? (If this person pays for certain things that can be deducted on a federal income tax return, telling us about them may lower the cost of health insurance. Do not include self-employment expenses. Attachment E on page 27 lists other types of deductions. Is this person, this person’s spouse, or an unmarried dependent child an honorably discharged veteran or active-duty member of the U.S. armed forces? What does this person expect this person’s total income to be this year? (optional) – write the number in the line to the right. 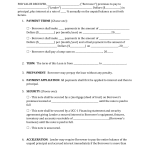 Step 8 – Please read and sign this application. There are several pages that must be read, understood and signed. If you feel you are reading information that you do not understand, get help understanding what you are signing as you will be completely responsible for whatever you sign. You may choose an authorized representative to assist you, so that you will be sure about what you are signing. An authorized representative is a person you allow to see your application and talk with the agency about now and in the future as well. This form is where you will provide your authorized representative, should you decide you would like to have one. Fill out their Name, address information (fill in the lines) – You must sign this if you agree to have this person assist with your information. If you do not wish to have an “authorized representative, please disregard or place “n/a” on the lines. Step 9 – Read the privacy statement. This protects your rights to privacy and reveals what can legally be released by the agency. Step 10 – Your Rights and Responsibilities – Read all of the information on this page. It also continues to the next page. Read all of the information provided here to be certain that you understand your rights and responsibilities. Carefully read this page prior to signing. It’s important that you understand and are declaring that you are providing proper information. Step 12 – The next form will only be used if you have someone assisting you in completing these pages. If so, that person must complete the information on the page and sign and date the blocks at the bottom. Read through the check list to be certain you have provided all of the information necessary to prevent delays. Complete the next section if you are a Covered California certified individual helping someone fill out this application. Do you need more information on other California Programs? If so check those you would like more information about after reading through the page to know what is available. For American Indians and/or Alaskan Natives- You may be able to save out of pocket costs for some of the insurance services. American Indians may receive services from Indian Health Services. You may also get special enrollment periods. If you’re interested, complete and sign this form. Tell Us About Your Family’s Health Insurance – Most important with this form is there is some information that is needed, some is optional. Read the form and provide needed information. With regard to each person living in the home and for whom you have applied. Employer Insurance Form- This is only necessary for those who qualify for health insurance through their employer. Step 15 –Choose your pediatric dental plan and your health insurance plan- Important* If you need to tell us about more than four people who would like to choose a pediatric dental plan or health insurance plan, make a copy of this page and the next page, and be sure to send them with your application. 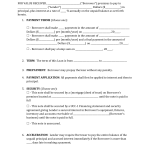 Agreement for Binding Arbitration – Each person on this application must read and sign it. It must be an attachment with your other documents. The remaining pages are specifically provided to assist you with answers to questions, direct you to proper telephone numbers should you require assistance and more, to include telephone numbers to reach someone who speaks your native language. Step 16 – Once all of the information is complete, check to make certain you have everything that needs to be included before mailing. Mail your forms for processing.